Allied with: King Edward's Horse (The King's Oversea Dominions Regiment). The 1st (Central Queensland) Light Horse Regiment came from a long line from the original Queensland Mounted Infantry. 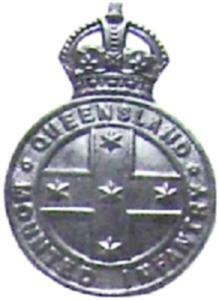 During the reforms of 1900, this particular formation took the name of the 3rd Battalion Queensland Mounted Infantry. When the 1903 Defence Act amalgamated all the inpidual states' forces into a unified force, the 3rd Battalion QMI was renamed the 15th Australian Light Horse, Queensland Mounted Infantry. 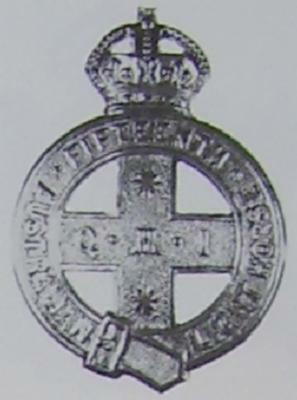 The introduction of universal service after the Kitchener Report of February 1910, led to the reformation of the 15th Australian Light Horse into the renamed 1st (Central Queensland) Light Horse Regiment. The following two companies were to be formed into an independent squadron and attached to 15th Australian Light Horse Regiment (Queensland Mounted Infantry) for training purposes. The following company was to be formed into an independent squadron and attached to 15th Australian Light Horse Regiment (Queensland Mounted Infantry) for training purposes. The Official Quarterly List of Officers of the Queensland Land Forces. Commonwealth of Australia Government Gazette. Commonwealth of Australia Military Orders. Commonwealth of Australia Military Forces List. Below is a list of men who were former members of the 1st (Central Queensland) Light Horse who later served with the AIF during the Great War. The details listed are those of the AIF enlistment containing the rank, full name and unit in which he enlisted. Acknowledgement: Many thanks to Steve Becker for providing the raw material for this page. His Excellency, the Right Honourable CWA Napier, Baron Lamington, 18 June 1898. Captain WG Thompson, 4 November 1892. Lieutenant RU Roberts, 3 May 1899. Lieutenant HJ Harris, 3 May 1899. Lieutenant FW De Little, 9 April 1900. Lieutenant TMW McWilliam, 10 April 1900. Lieutenant C Petrie, 1 February 1901. Lieutenant HA Coldham, 1 February 1901.